Street, with three houses on it, forgotten when the town took over the last of the private roads as municipal ways in 2010. 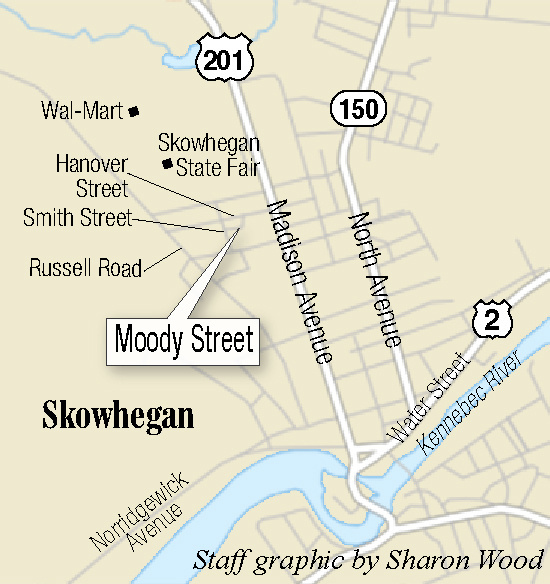 SKOWHEGAN — Residents of Moody Street are in a pickle. The street — a short dog-leg with three houses on it behind the Skowhegan-Madison Elks Lodge — is technically not a town street like all the others in Skowhegan. It’s a private road, but it’s been plowed by the town for decades. Now, residents Charles and Helene Bolstridge, both 78, have asked the Board of Selectmen to make it a legal street before winter sets in. They’ve lived there since the mid-1980s, and they’re afraid town snow plows will stop coming now that municipal officials know that Moody Street is not a town-owned street or on town records as a municipal right of way. Moody Street, some of which is dirt, some old pavement, seems to have just fallen through the cracks. “They’re been plowing for 20 years — how can they stop?” Charles Bolstridge said outside their home on a recent afternoon. “I’ve wanted it to be taken over as a street, and they started right in bullying me. The Bolstridges said they pay property taxes on their modest home on Moody Street and deserve some action. Some of their neighbors agree. They say even if the street has not been accepted as a public way by the town, it still is a through street used by residents and others connecting Hanover Street with Smith Street. 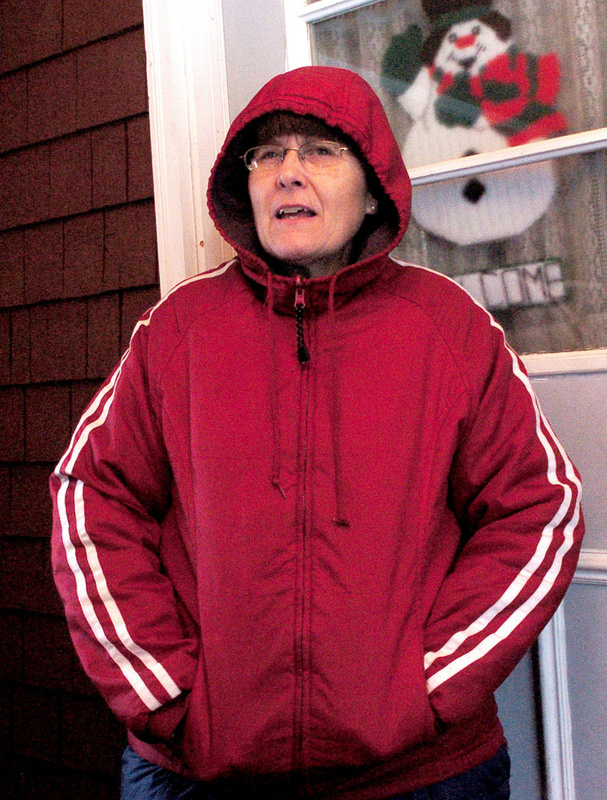 Another woman, whose home has a Hanover Street address, but whose mail box and driveway are on Moody Street, agrees that the street should be plowed because it is a through way connecting two town streets. The woman declined to give her name. Charles Bolstridge was in attendance at the Nov. 22 regular meeting of the Board of Selectmen and sent them a letter asking that Moody Street be deemed a town-owned, publicly maintained street. He said he feels he is too old to keep the road open himself during the winter. Selectmen discussed the matter and asked Town Manager Christine Almand to get legal advice from lawyer Ken Lexier, the town attorney. They agreed to continue plowing the street, when necessary, for 30 days until they get a legal opinion. That deadline would come just before Christmas. The board is set to revisit the matter beginning at 5:30 p.m. Tuesday during their regular meeting. Almand said there may be a decision at that time. Skowhegan Road Commissioner Greg Dore said the Moody Street question is not his call. Any decision on what to do with winter maintenance will be up to the selectmen once they get the legal opinion. He said he doesn’t remember ever bullying Mr. Bolstridge and doesn’t remember even speaking to him before the Nov. 22 selectmen’s meeting. As Skowhegan’s road commissioner for 25 years, Dore said the town has always plowed Moody Street. Almand, the town manager, said there are still many private roads that residents are responsible for, and that could be the plight of Moody Street residents based on state law and how selectmen decide to proceed with the legal opinion Tuesday night. She said she understands that Moody Street is right in the middle of town, but that doesn’t change the status of the road as a private way. 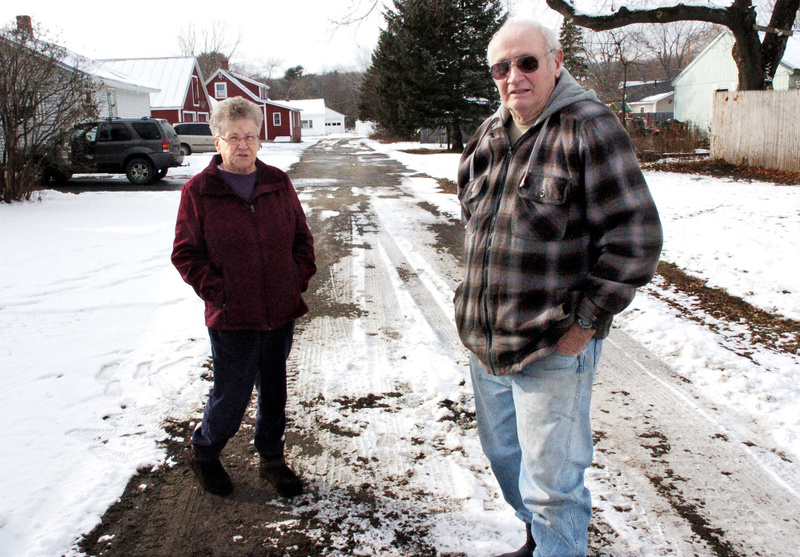 “It’s slightly abnormal for it to be a private road,” she said, noting that what town officials thought were the last six private streets to become town-accepted roads were taken over at the annual Town Meeting in 2010. Bolstridge said if they are not successful at getting the road plowed this winter, he and others will gather signatures on a petition to bring the matter of the town accepting the street to next June’s annual Town Meeting. Almand said in order for the town to accept Moody Street as a town road, upgrades would have to be done to the surface and the width of the street would have to meet standards unless the selectmen agree to waive the standards. She said backyard easements may be required from abutting landowners on Hanover Street. As a private road, those costs could not be picked up by the town, Almand said.